Islay has enjoyed “helping” Jim rake leaves this fall. 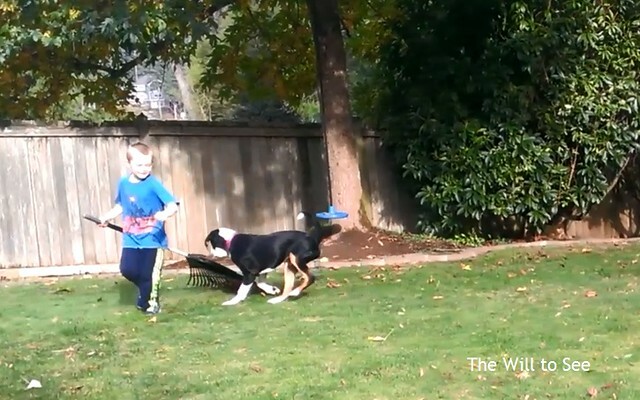 Last weekend Jack started pulling the rake around and she chased it all through the yard. Who knew that a rake could provide so much fun.